And no, they did not pay me to write this. I've already paid my way for the Circular Logic Marathon at the end of March. I've told so many people about this race and encouraged them to sign up that I figured I should collate all my responses in a single place. Yes, it's a marathon consisting of 26 one-mile loops. And yeah, it was cold last year. But, the benefits of this race have me convinced it's worth going for a repeat. 1. It's cheap. I've run 5Ks before that are more than the $45 registration fee for this marathon. You really can't beat the value (for reference, the Chicago Marathon is like $185. Ironman is $700). 2. It's easy to get to. West Lafayette, Ind., is two hours from Chicago. If you didn't want to stay the night before, you could get up at about the same time as you'd have to get up for a city marathon and still get there in time. 3. It's flat. It's a circle with absolutely no incline. It's also a Boston Qualifier, if you're into that sort of thing. 4. Great swag. 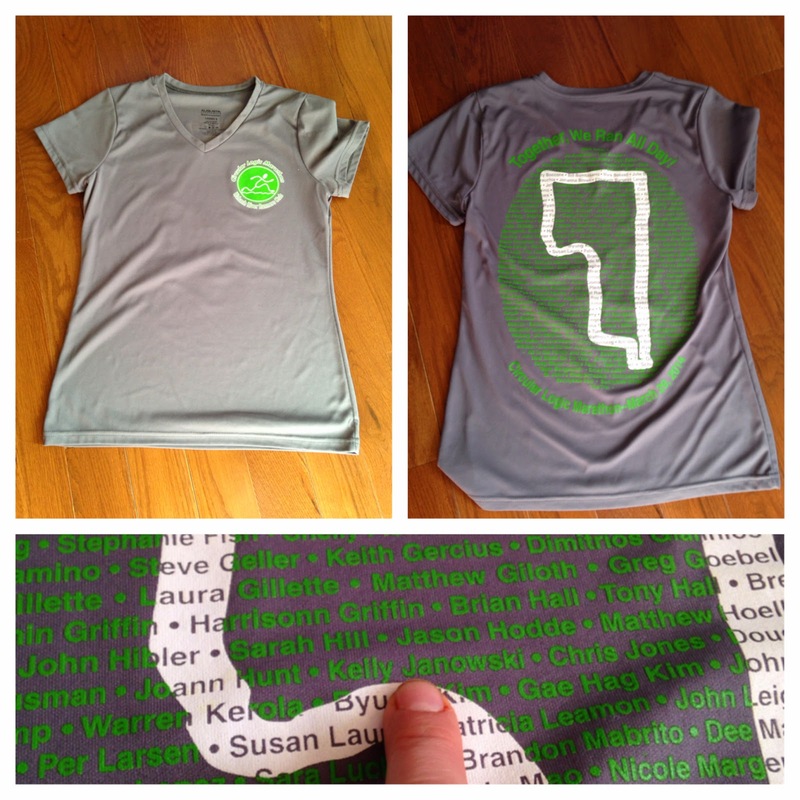 Last year's shirt was personalized with all the attendees names (the same name shirt on the Ironman website costs about the same as registration for this race). The medal is really cute, and I hear this year will include a custom ribbon, and repeat racers get a little charm on their medals. Also, you get to choose your bib number and you get two custom bibs, one for your front and one for your back. Or one for your desk and one for your medal collection later. 5. It's green. There's no bulky race packet full of crap you'll never use. They even recycle the envelopes your bib comes in and forego cups and crap at the aid station. This means you bring your own bottles with your own special potion and volunteers will refill them. 6. You can split it up. This is the easiest relay ever. If you want to run a half and have three friends who aren't quite there yet, you can split up all the miles in the way you wish. I even saw a kids' track team running laps as they could to finish the race. It was adorable, and made me think anyone could tackle this race.